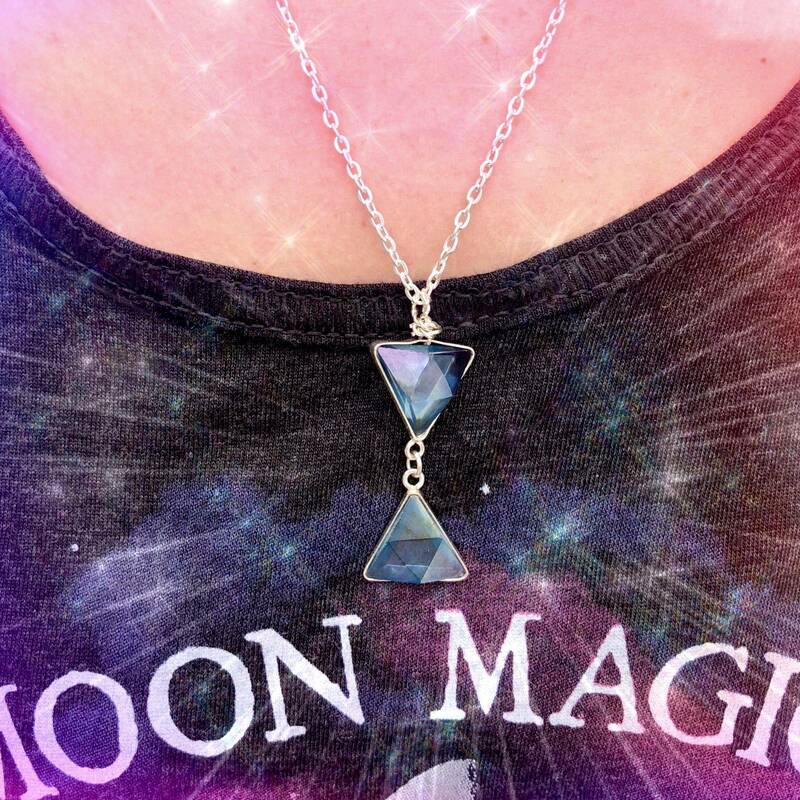 Ooohhh…Eclipse magic is so powerful, don’t you think? There is something so interesting, so mystical, about three astral bodies lining up in such a way as to obscure or completely hide one of them…powerful moon magic, for sure. When the moon moves in front of the sun, we know it as a solar eclipse, and when the Earth casts the moon in full shadow, it is a lunar eclipse. These events happen all over the universe, not just in our solar system! Aligning energies abound. 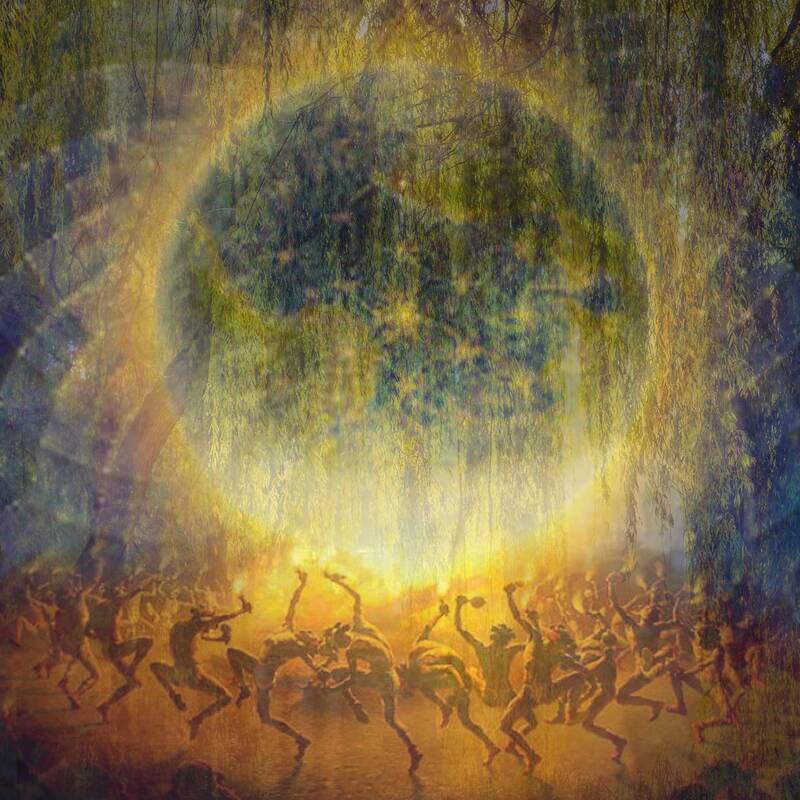 I believe that when these celestial entities are hidden from view, other things come into light for us down on earth. This is a time when we need to ground and center ourselves, as the energy of the universe is highly mobilized and shifting. 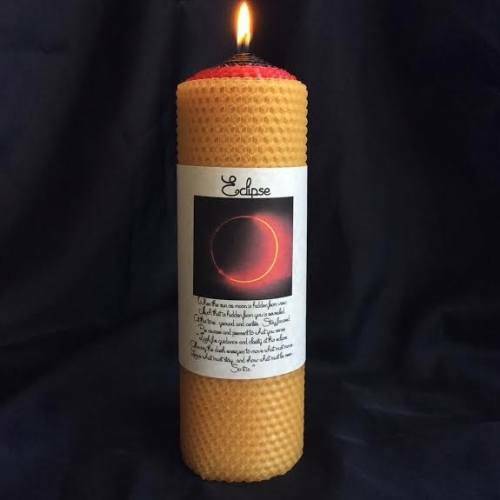 I created this Eclipse candle so that you may light it during solar or lunar eclipses or other astrological transits, if you follow the movement of the planets. I intended for it to help you feel focused, aware, and present with yourself and your emotions. 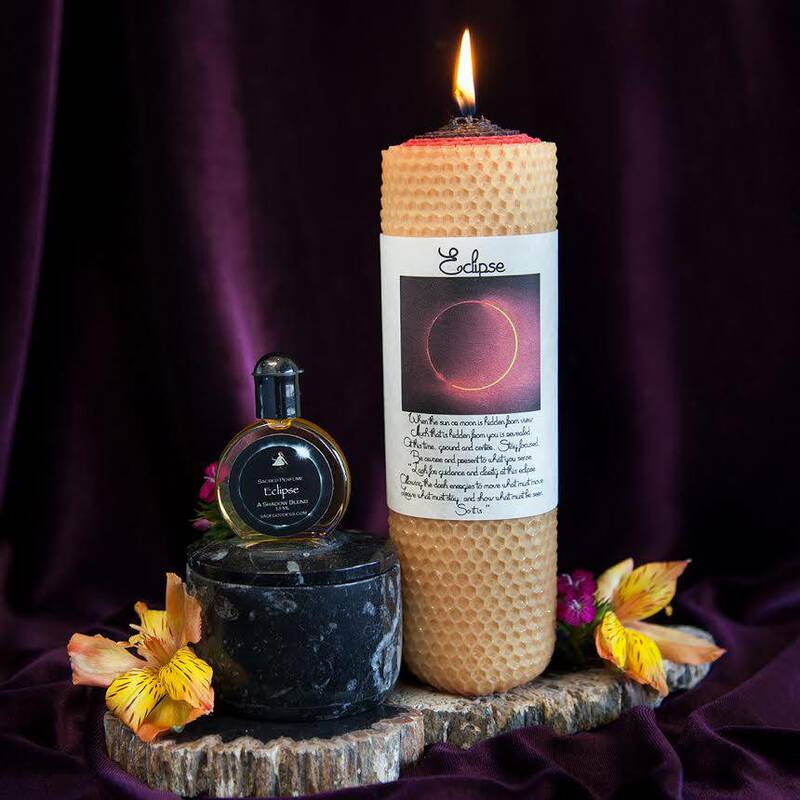 Every one of my hand-rolled beeswax Eclipse pillar candles are crafted right here at SGHQ in sheets of gold, red, and black beeswax. This candle has been anointed with my Eclipse perfume oil and has chips of labradorite scattered throughout the wax. Labradorite is the stone of the dark moon that promotes creativity, facilitates new beginnings, and draws down the energy of the night, the mysteries of the universe, and the depth of your soul. 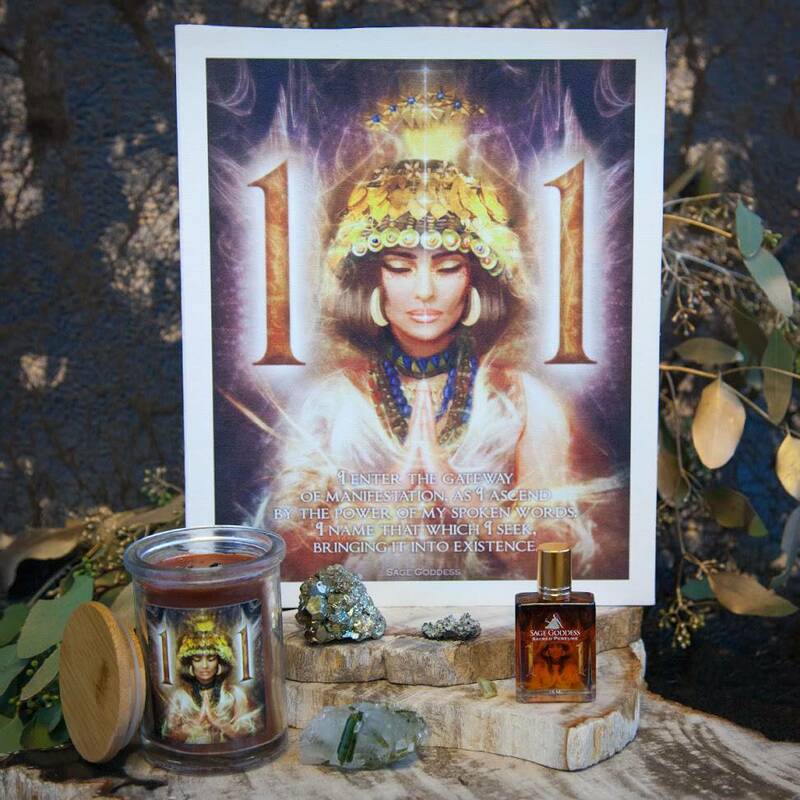 You will also receive my Eclipse perfume so that you may anoint yourself during solar or lunar eclipses or other astrological transits, a perfect companion to my Eclipse candle. It’s a beautiful blend of lilac, sandalwood, and pumpkin, with a round femininity that isn’t too bold. As we enter into this phase of change and unique planetary movement, use this set to help you harness the energy of the Universe to aid you in facilitating your own change where needed, while staying grounded throughout. Each bottle comes with a black obsidian chipstone inside to add another layer of healing and protective magic. May it bless you during these cosmic shifts. Note: This product is made with natural essential and carrier oils, and may contain fragrance oils. Cap color, chip stone, and color may vary slightly. For external use only. Also: Please remove candle label before burning, always use a heat proof dish on a stable surface, and never leave a burning candle unattended. This listing is for one (1) Eclipse Candle and Perfume Duo. These tools are meant to be used in tandem, but if you wish you may order each of the items separately. Use the drop down menu to select as you feel called. Yours will arrive lovingly parceled and ready to guide you through the eclipse. Eclipse perfume is a truly lovely scent. The lilac comes through beautifully, with the pumpkin adding, as the description says, a roundness. I like to wear my Sage Goddess perfumes in alignment with their ritual purpose, so I have gone out of my way to persuade myself that the New Moon is, after all, just a would-be eclipse, so I can wear it then.